For new visitors we had a major software failure weeks ago! 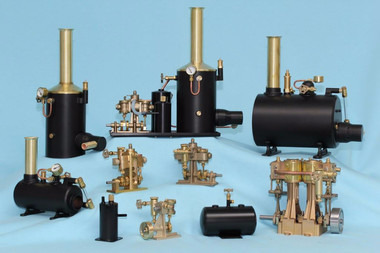 Using the latest range of engineering technologies to provide the finest components for Model Engineers, we design make and sell, a world competitive range of quality model steam engines, high performance boilers, refillable gas tanks and exhaust oil traps. The engines are/will be available in a variety of kit forms, to match the engineering skills of the hobby enthusiast. Purchase options range from “ready-to-run” engines down to the smallest individual component for any product. The high performance boilers and refillable gas tanks are built to the most exacting design code in the world and made from the finest materials available. For safety reasons the pressure vessels are only sold assembled and come with a formal test certificate. The world-renowned JoTiKa/Caldercraft range of static and RC model boats complement our engineering products. All this is just a beginning – there are a lot more new and exciting products under development. We suggest you bookmark this address to easily watch our progress.